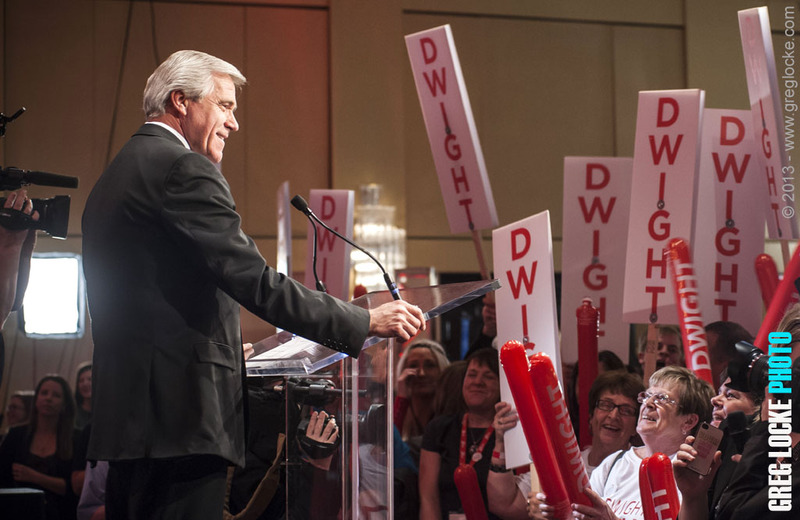 ST. JOHN’S, Newfoundland – The Newfoundland and Labrador Liberal Party elected Dwight Ball as their new leader following an election designed to make it easier for more people to participate. Ball had been interim leader since Yvonne Jones quit to run and win in a federal by-election last year. The sitting member of the house of assembly, from rural Newfoundland, fought off four other candidates, two sitting MHAs, also from rural Newfoundland, and two high-profile business persons from St. John’s. In a broad reaching attempt to open up the party, attract new members and extend the democratic process, the party opened the Nov. 17 leadership election to the public allowing people to sign up and vote online, over the phone or at the convention in the provincial capital. Considering the rise in Liberal popularity, it also meant the public had the opportunity to possibly vote for the next premier of the province directly. The Liberals signed up 38,006 new party supporters during the five-month leadership race, and more than 23,000 of those cast a ballot. Party president Judy Morrow said the next two years are all about turning that list into a province-wide organization going into the next election. This Liberal race also featured a preferential ballot with each eligible voter ranking their choices, from first to fifth. The party was nearly wiped out when millionaire businessman and lawyer Danny Williams became premier under the Progressive Conservatives in 2004, and at one point nearly lost official opposition status to the New Democratic Party, which has enjoyed major growth in the urban ridings in St. John’s. Since the confederation debates of 1948-49 the political divides in the province have been traditionally rural Liberal vs urban Conservative with the Liberals being the party that brought Newfoundland into the Canadian confederation and St. John’s conservatives in the merchant and clergy classes, opposing it. Other than this historical footnote and a few oddities along the way, there is very little difference, ideologically, between the provincial parties. The performance of Williams’ successor, Kathy Dunderdale, has been underwhelming since she took over the premiers’ seat following Williams surprise resignation in 2010. Her polling numbers have led her to the dubious position of the least-popular provincial premier in Canada. This, and her government’s lackluster performance and general disorganization, has meant a resurgence of support for the Liberal party again and set the stage for the next provincial election in 2015. Until a recent attempted palace coup inside the New Democratic Party, that saw two of its five caucus members depart to sit as independents, the NDP stood a good chance of making significant gains in the Newfoundland and Labrador House of Assembly. With possible leadership changes in the NDP and PC parties in the coming year the stage is almost set for the next election in Canada’s most eastern province.